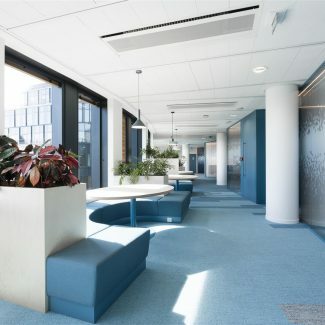 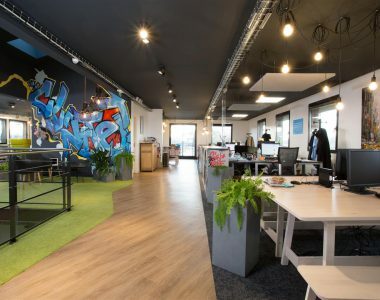 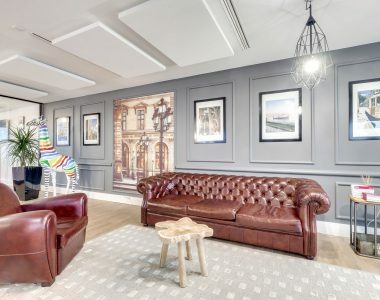 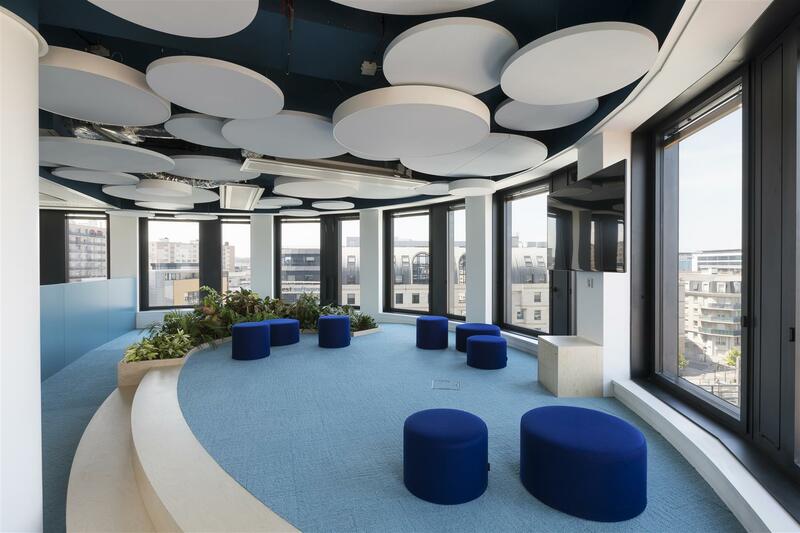 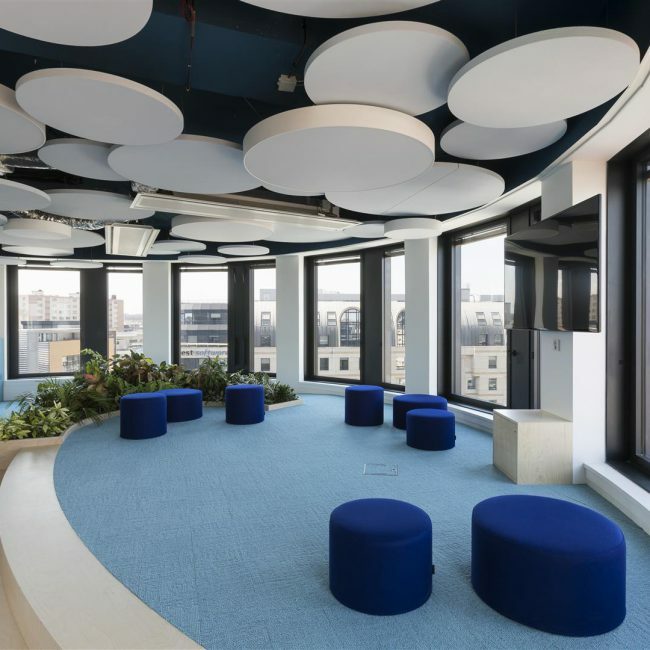 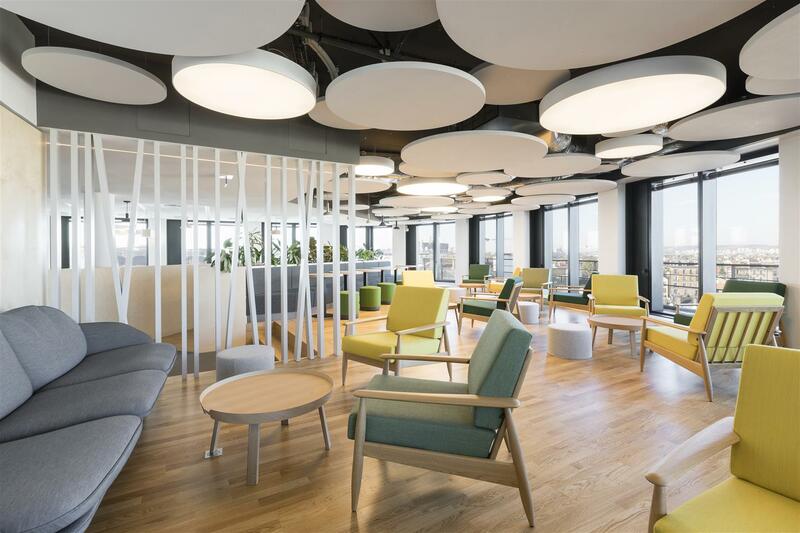 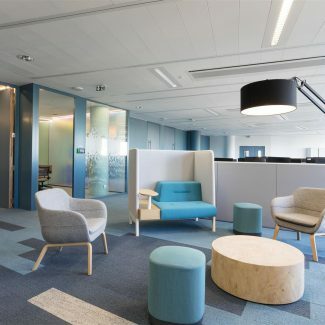 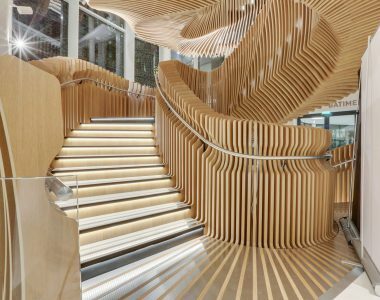 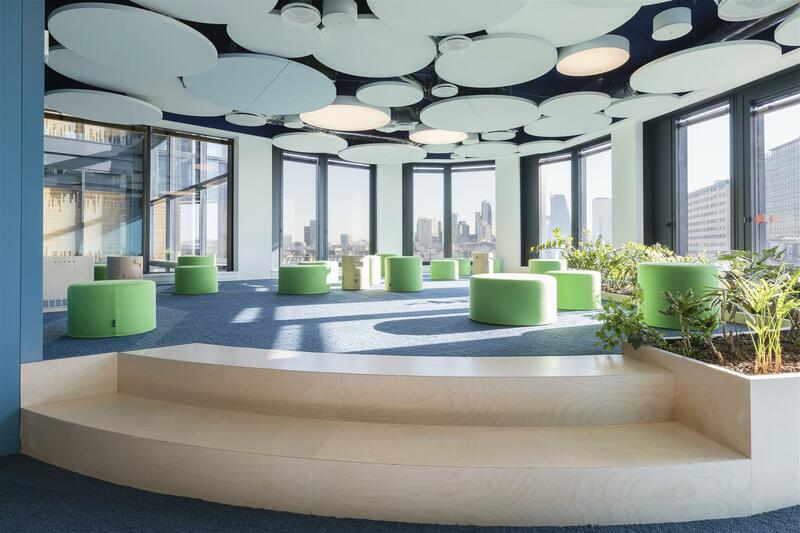 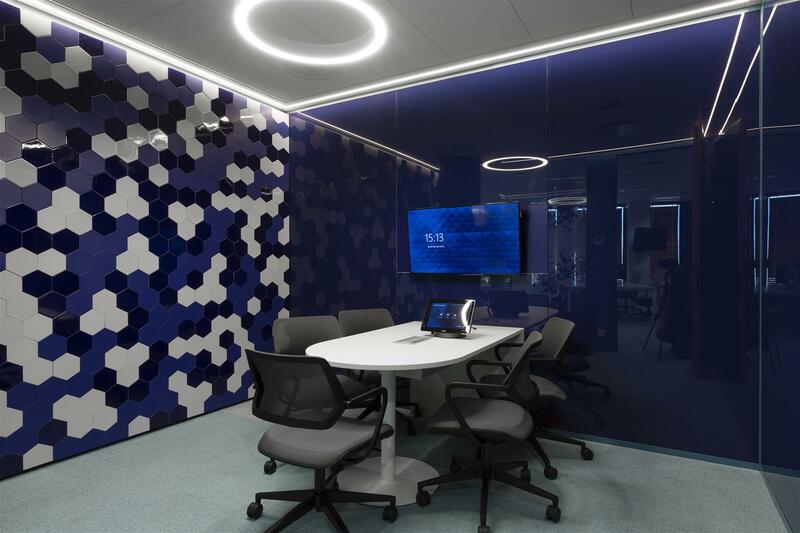 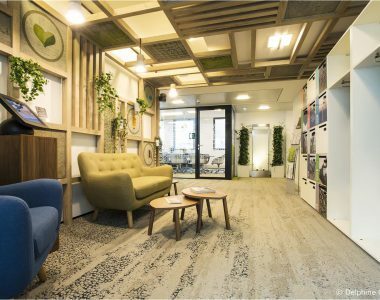 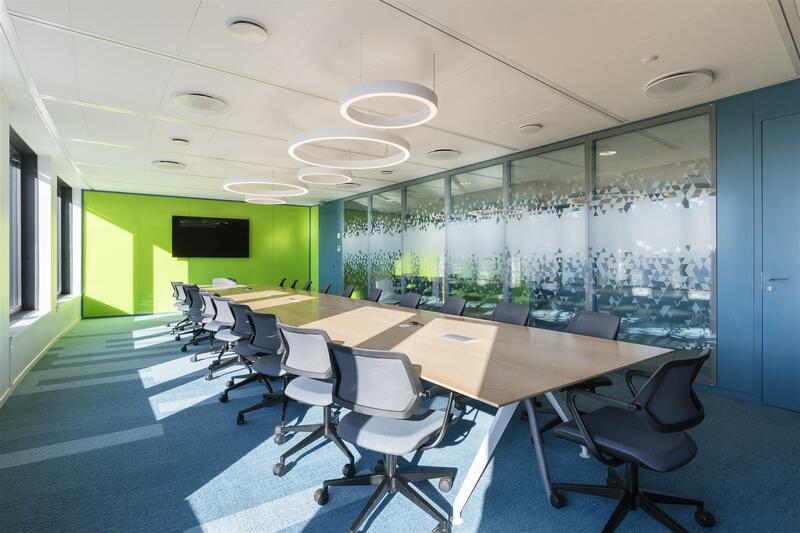 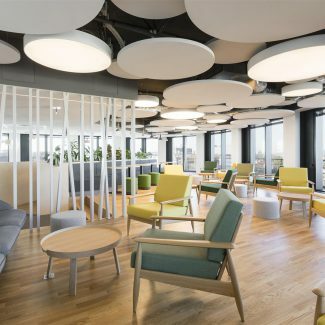 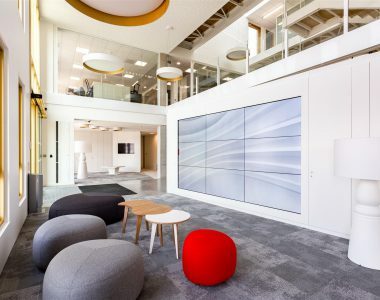 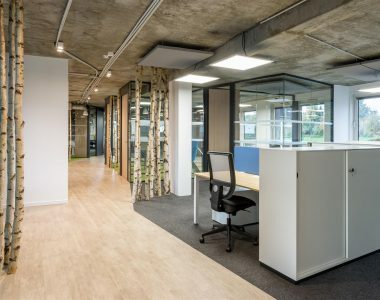 After the lease of 5 floors of a building in La Garenne-Colombes, it is in Tétris that this international software company has entrusted the fit-out works. 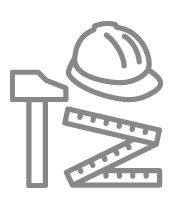 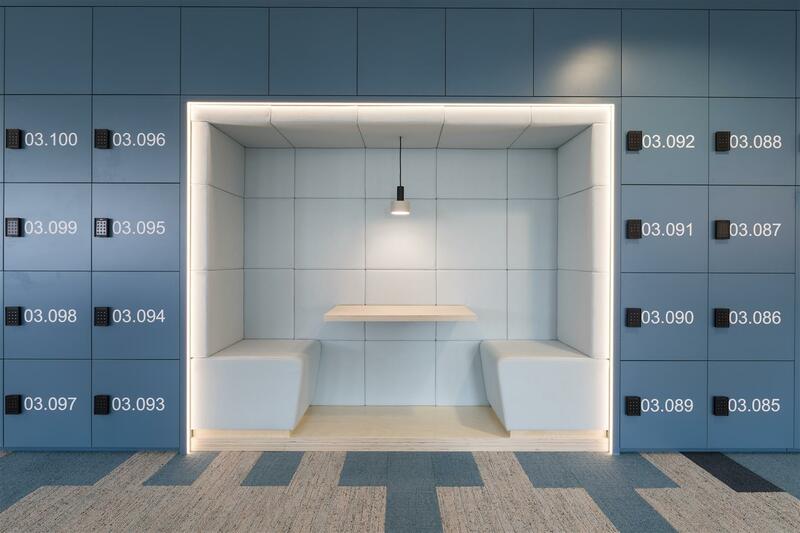 The architectural concept, signed by the SC Agency, was strongly oriented towards the well-being of employees and conviviality. 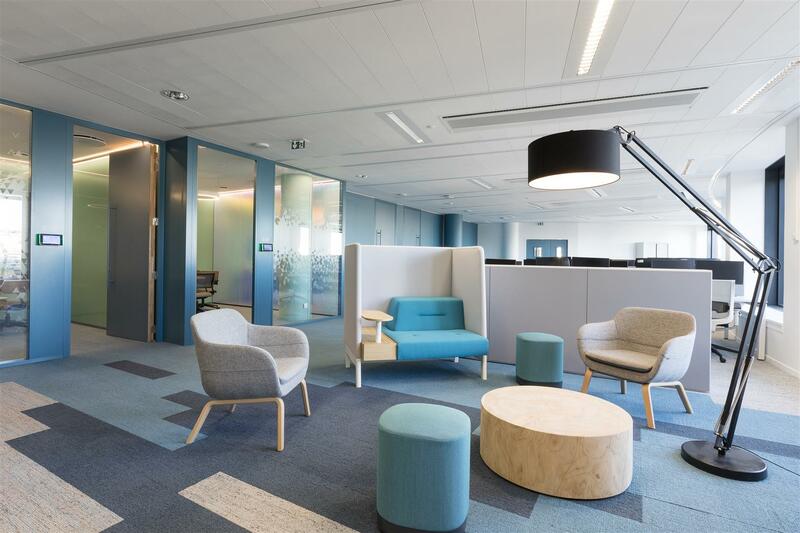 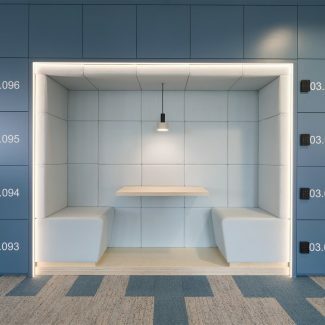 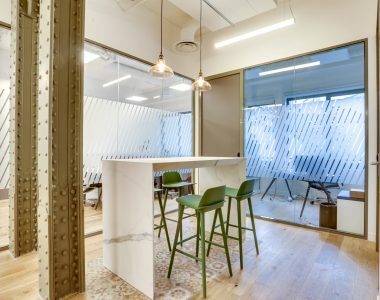 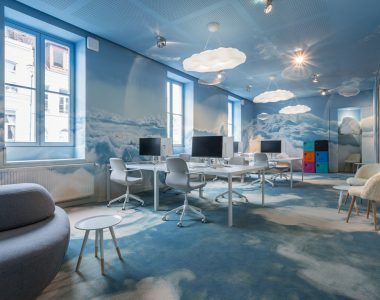 In a start-up spirit, many informal spaces, collaborative areas litter these spaces with warm colors. 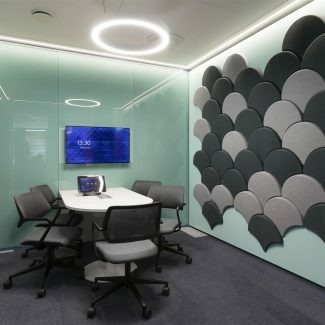 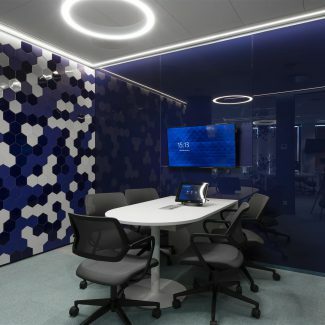 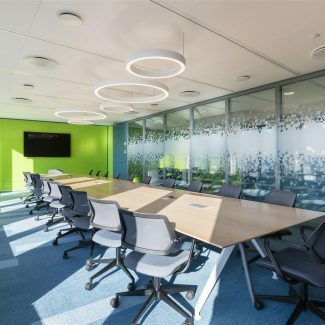 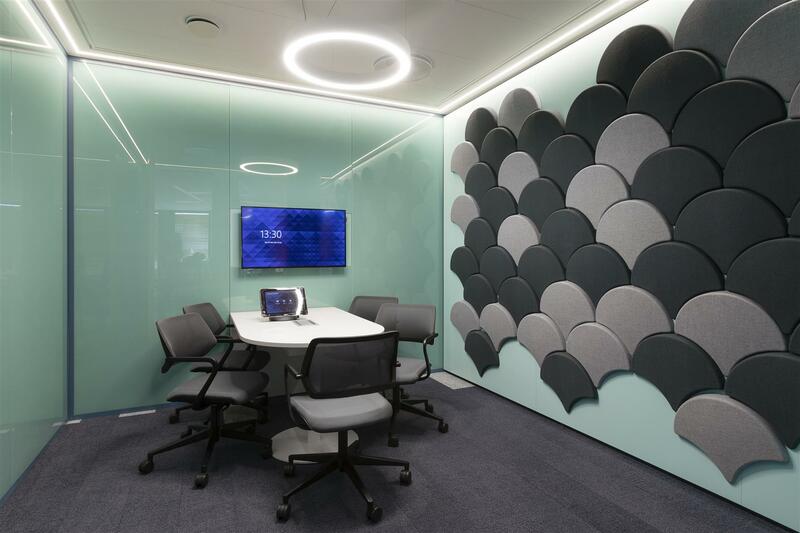 Each meeting room has its unique universe and offers a strong innovation. 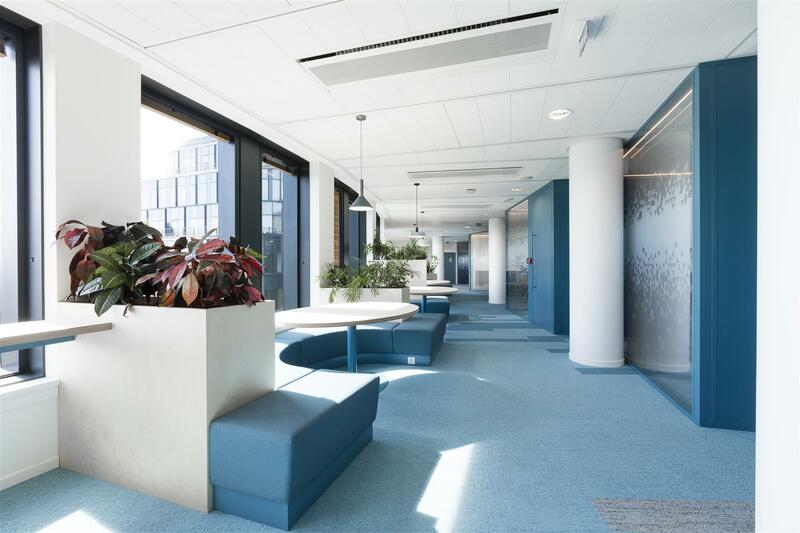 The 9,000 m² works lasted 4 months and a half, a real challenge!